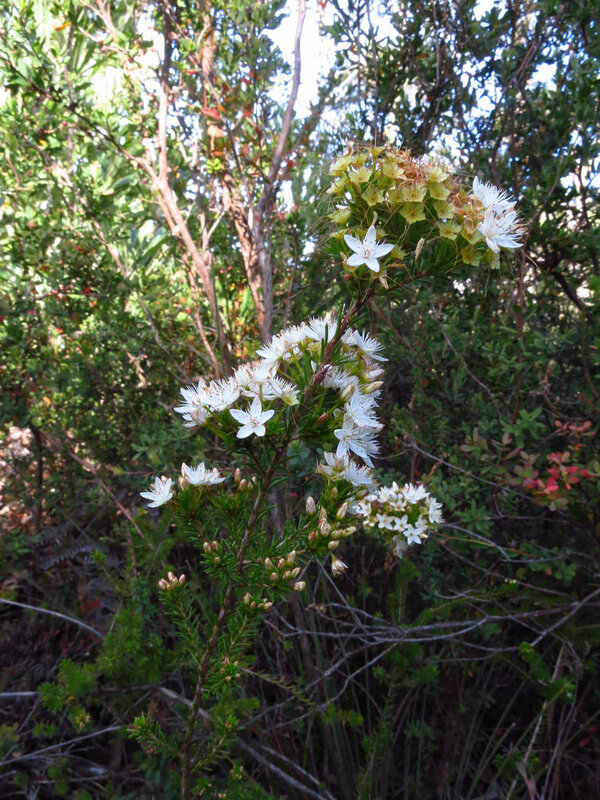 Indigenous to Australia this gorgeous evergreen shrub grows to a height of 1.5 m with long fine heather like leaves. The masses of little star shapes pink flowers appearin spring to make a striking plant. We are blessed to have a large stand on the property which we harvest with tender loving care. The aromatic smell is like a cross between thyme and a sweet flower. This marvellous plant was used as an anti septic in the old days. Add to cleaners and washing products for anti bacterial protection. Inhale to relieve nasal and bronchial congestion. Apply locally as a liniment for minor aches and pains. Add a few drops to shampoo to assist with scalp and hair problems.